When it comes to pizza, the tradition has been passed down among the Magistro family. 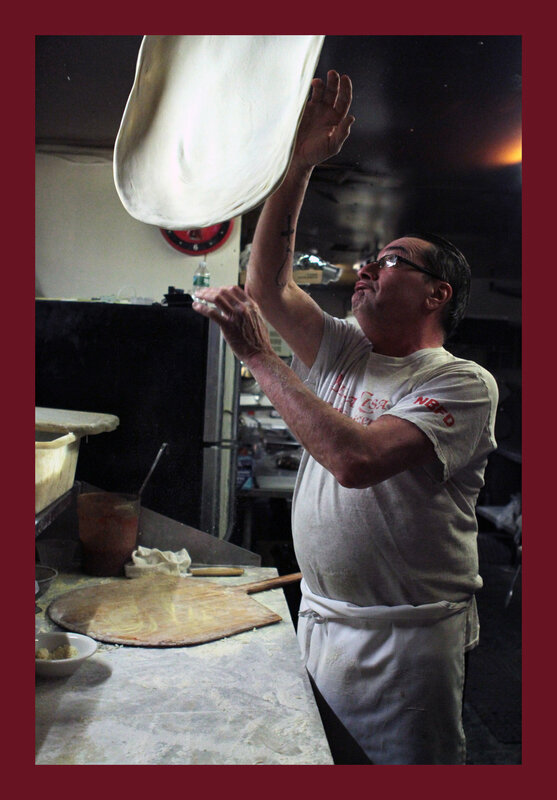 Joseph "Pizza Joe" Magistro opened Bella Lisa Pizzeria 29 years ago in North Branford, following the footsteps of his father, Joseph Magistro, Sr., who had a pizzeria in New Haven in the late 1960's. At Bella Lisa Pizzeria, Magistro works with his wife Christine, as well as his daughters, Lisa and Maria Magistro. The dough comes from Joseph Magistros Sr.'s recipe, and marinara sauce and meatballs are from Phyllis "Fifi" Magistro, "Pizza Joe's" mothers recipe. Prices vairy based on size, Small 12"/ Medium 16" / Large 18"
We can customize any bread you like! Approximately 8 orders per tray - please give two days notice.